The Supreme Court, yesterday dashed hopes of the All Progressives Congress, APC, to secure an order that would have compelled the Independent National Electoral Commission, INEC, to recognize all its candidates in the forthcoming elections in Rivers State. The apex court, in a unanimous verdict by a five-man panel of Justices, declined to dislodge the high court judgment that ab-initio barred the APC from conducting its Ward, Local Government and State congresses in Rivers State, pending the determination of a suit that was filed by 23 aggrieved chieftains of the party. The litigants, who are members of a faction of the party loyal to Senator Magnus Abe, had on May 11, 2018, secured an interim injunction from a High Court in Port Harcourt, which restrained the APC from going ahead with the indirect primaries that held on May 19, 20 and 21 respectively. The APC however proceeded to conduct the primary elections, even as it got an order from the Court of Appeal in Port Harcourt, to stay the execution of the high court order. Among beneficiaries of the primary elections included Prince Tonye Cole, who the party had since presented as its governorship flag-bearer in Rivers State. The APC had through its lawyer, Prince Lateef Fagbemi, SAN, begged the Supreme Court to clear legal impediments against its list of candidates that contained Cole’s name, a request the court rejected on Friday. The apex court panel which was led by Justice Mohammed Dattijo, rather re-affirmed its previous ruling that validated the high court order that barred APC from going ahead with the Rivers primaries. The panel further invoked section 22 of the Supreme Court Act and dismissed the appeal the Ojukaye Flag-Amachree’s led APC, filed before the Port Harcourt Division of the Court of Appeal to challenge the high court order. In the lead judgment that was delivered by Justice Side Bage, the apex court, said it was satisfied that the matter the APC filed before the appellate court deserved “a decent burial”. “Thus I will allow the appeal and set aside the ruling of the lower court dated October 31st 2018. I hearby dismiss Appeal No CA/PH/198/2018”, Justice Bage held. Though the Supreme Court initially fixed March 8 for the judgment, it brought the date forward after APC contended that the matter would be caught up by the 60 days deadline the Electoral Act provided for the determination of pre-election cases. The appeal marked SC/1070/2018, was lodged before the court by twenty-three chieftains of the party, led by one Abdulahi Umar. The litigants had among other things, urged the apex court to determine whether it was right for the Court of Appeal to proceed with hearing APC’s appeal against the high court order, despite the notice of withdrawal dated September 13, 2018. They further challenged the interlocutory decision of the appellate court in a ruling that was delivered on October 31, 2018, by a panel of Justices led by Justice Cordelia Ifeoma Jumbo-Ofo, which okayed stay of execution of the order of the high court that stopped the APC primaries. Umar and his group argued that it was wrong for the appellate court to rely on its previous decision that was set aside by the Supreme Court on October 22, 2018, in another appeal marked SC/764/2018, which the APC lodged against them. While adopting their brief of argument, the appellants, through their lawyer, Mr. Henry Bello, urged the Supreme Court to uphold its ealier judgement and nullify outcomes of the indirect primary elections that produced Cole and other candidates in the faction of the party loyal to the Minister of Transportation, Mr. Rotimi Amaechi. The appellants equally urged the apex court to dismiss the appeal in Port Harcourt, having been withdrawn by the appropriate organ of the APC in Rivers State. Meanwhile, shortly after the matter was adjourned for Judgment, the appellants re-approached the apex court, asking to withdraw the appeal. They applied for the appeal to be struck out since it would have been overtaken by events by March when the 60 days period provided by the Electoral Act would have elapsed. Bello told the apex court panel that the lower court had delivered a consent judgment in the matter, following the withdrawal of the appeal. However, APC, through its team of lawyers led by Prince Fagbemi, SAN, prayed the Supreme Court to dismiss the case and uphold the list of candidates that were okayed by leadership of the party. Fagbemi, SAN, maintained that whereas the Court of Appeal struck out one of the appeals that involved the consent judgement of the high court, he said the instant appeal at the Supreme Court was different. Fagbemi further argued that the appeal was not a pre-election matter since what was being challenged was the election of officers to the Wards, Local Government and State Congresses of the APC. His contention was however discarded by the Supreme Court, which said it was satisfied that the proceedings at the appellate court ought to have been terminated immediately the case was withdrawn. It will be recalled that the apex court had on October 22, nullified an interim order of the Court of Appeal in Port Harcourt, which gave APC the nod to conduct its Ward, Local Government and State Congresses in Rivers State. According to the Supreme Court, Justice Chiwendu Nwogu of the high court gave the interim order of injunction on May 11, the same day that some hoodlums loyal to a faction of the party, besieged the high court premises in Port Harcourt. 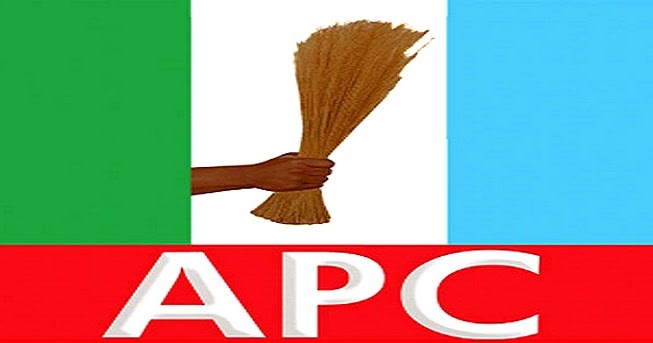 It observed that despite the attack and the restraining order from the high court, which was further reaffirmed on May 13, the APC which was a Respondent in the matter, went ahead and conducted its Ward, Local Government and State congresses on May 19, 20 and 21. The Rivers State High Court had in a ruling on May 30, nullified the Ward, Local Government and State congresses of the APC held on May 19, 20 and 21 respectively. Justice Nwogu maintained that the process that led to the emergence of Ojukaye Flag-Amachree as Rivers Chairman of APC, was fraudulent. He ordered the party to return to the status quo of May 11, pending the determination of the substantive suit. Subsequently, the court, on October 10, voided the nomination of Mr Cole as the gubernatorial flag-bearer of the APC in the state. Justice Nwogu declared that Ward congresses of APC in Rivers State were illegal, sayin they were not conducted in line with the Party’s guidelines and constitution. INEC had since declined to include candidates of the APC in its list of candidates that will participate in the 2019 elections in Rivers State.